For those in love with flying and the sky, a fleet of vintage airplanes. 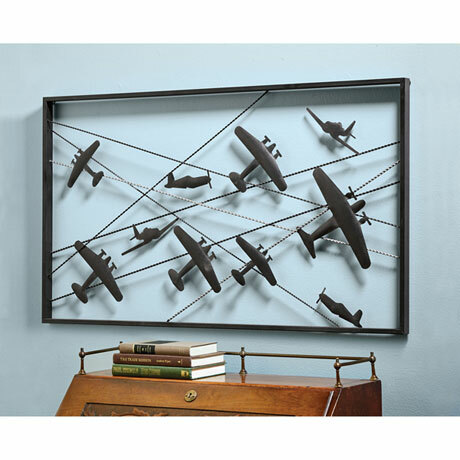 Iron with an aged patina, held by twisted, crisscrossing wires within an iron frame, dramatic wall art is ready to hang. 42"w x 24"h x 1 ¼"d Extra shipping charges for this item: $+4.95.